For days, one TV Channel ran visuals of how Christians have been targeted for violence in Orissa's Kandhamal district. Several other so-called national channels too joined the chorus sufficient enough for Mombattiwalas (candlelight activists) to plunge into the ring and declare that 'entire Orissa', if not 'entire India', is in the grip of violence unleashed against 'innocent minorities' by 'Hindu nationalists'. As a senior leader pointed out to me after a heated TV debate, we have created a funny nomenclature in our country: if you are a Hindu and defend your faith, you are a 'Hindu nationalist' � a pejorative reminiscent of Nazi Nationalism. But if you are a Hindu and use your lung power to loudly attack Hinduism and Hindus for crimes they never committed, then you are a great 'secularist'. Both these stereotypes are a creation of our perverted political discourse. Thus every incident of the nature of the Kandhamal one will immediately be dragged into this Hindu Nationalist�Secularist arena and the endless blame-game continues. We don't realise that in the process we are not only destroying the image of our nation but actually perpetrating such violence by not looking dispassionately into the real reasons behind each and every single incident. Violence in the name of religion in any form should be opposed by all. It is unfortunate that we had to end 2007 with one such violent situation in a district of Orissa. But we must not ignore the fact that Kandhamal is � for that matter many such incidents have been � a localised incident; not a phenomenon as the Candlelight-walas would want us to believe. It is neither pan-Orissa nor pan-Indian. The trouble in Kandhamal started on December 23 when some Christians at Brahmanigoan village wanted to erect a Christmas gate in front of a Hindu place of worship. This was resented by the local Hindus who questioned the motive of the Christians in insisting on building a second gate near a Hindu place of worship while one gate was already erected at a place where it is done every year on the eve of Christmas. This led to the initial clashes. Since Christians were more in number in the said village the Hindus were at the receiving end. As the news of clashes reached Swami Laxmanananda Saraswati, a selfless Hindu seer � working for the socio-economic development of the local people for over four decades -- he set out for Brahmanigoan on December 24. His car was attacked by a violent Christian mob in which the seer himself and two of his followers sustained serious injuries. Swamiji, 82 years old, has been relentlessly working for the uplift of the people in the district -- more than 75 per cent of whom are below the poverty line and illiterate -- since 1967. He has opened schools and hostels, hospitals and temples to serve mainly the tribals and the down-trodden. It was this attack that led to further clashes in the district, as the seer is highly respected and has innumerable supporters in the district. Four days of clashes resulted in both sides suffering in various ways -- many houses were burnt, properties destroyed and physical attacks taking place. What made things worse in Kandhamal was the open collaboration between the Christian groups and Naxals. Among those arrested in connection with the burning down of villages inhabited by Hindus (Brahmanigaon, Jhinjiriguda, Katingia, and Godapur) were 47 Maoists. Some 20 guns have been recovered by the security forces from them. The Kandhamal violence is essentially a localised one, as many such incidents in the country have been. It is the local factors that play a predominant role. Animosities were brewing no doubt. But again the reasons were immediate. There has been a feud between the Kondh tribals and largely Christian Pana Scheduled Caste people. The Panas, under the leadership of the local Congress Rajya Sabha member Radhakanta Naik, who is said to be a convert, have been demanding inclusion of their caste in the Scheduled Tribe category as they too speak the same Kui language that the ST Kondhs speak. This argument was rejected by the state government as well as by the courts. But the agitation in favour of the demand continues under Naik's leadership, fuelling resentment among the Kondhs who remained largely unaffected by conversion activity of the Christian missionaries. However, if there is any one aspect that is pan-Indian in all the incidents related to Hindu-Christian clashes it is religious conversions. Even in Kandhamal district, one of the major factors fuelling tensions is the conversion campaign of the evangelical groups. It is noteworthy that in a state like Orissa which enacted anti-conversion laws as back as in 1967, the Christian population in Kandhamal district alone has grown from 6 per cent in 1970 to 27 per cent in 2001. The 'aggression' shown by the new age evangelical groups mostly in predominantly tribal areas in states like Orissa, Madhya Pradesh, Jharkhand, Gujarat etc has become a major contributor of religious strife. We can't overlook the fact that in the entire country Christmas was celebrated with a lot of gaiety with millions -- a lot of Hindus included -- thronging churches. 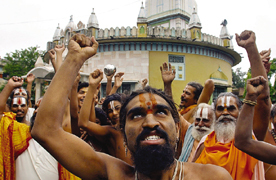 Hindus, at the core of their belief, are 'omnitheists'. For a Christian or a Muslim there is 'one god', but for a Hindu there is 'only god'. For him god is omnipresent, the entire creation is divine manifestation only. Religious conversion is an anti-thesis to this belief. There was a time when at the end of the British Raj the mainstream missionaries in India had decided to focus more on humanitarian and developmental activity than conversions. Many still adhere to that concept, confining themselves to running schools, hospitals etc and serving humanity at the time of need. However, for the growing breed of 'aggressive' evangelicals, numbers are very important. 'Harvesting souls' is god's work for them. Means don't matter. In a very interesting article in Christian Science Monitor (April 1, 2005) Ajai Sahni, executive director of the Institute of Conflict Management in New Delhi and a renowned intellectual was quoted as saying: 'Aggressive and unprincipled missionary work that exploits the distress and ignorance of marginalised groups ... can constitute a catalyst to localised violence, particularly when they are brought into confrontation with other creeds'. 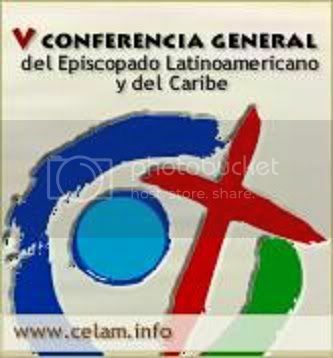 After the tsunami, the US National Council of Churches issued a statement warning against the practice by "New Missionaries" of mixing evangelism and aid. "Often lacking sophistication about the lure of gifts and money, and wanting to be generous with their resources, they easily fall prey to the charge of using unethical means to evangelize. This creates a backlash," the February statement read. "You get this guy out of Texas who has no idea of the local culture, he is out to win souls, and he comes with a lot of money," says Bob Alter, former Presbyterian pastor born and raised in the Indian mountain town of Mussoorie, and former superintendent of a missionary institution, the Woodstock School. The problem with these newer churches, Mr. Alter says, is the tone of their message. "You have Baptists using the Diwali festival [the Hindu festival of lights], but they come to 'spread the light to those in darkness.' That is mighty offensive stuff, when you're out to tear down another religion." Whether it is Kandhamal in Orissa or Jhabua in Madhya Pradesh or Dangs in Gujarat, the only pan-Indian question is the evangelical activities of 'aggressive conversion campaign'. If we argue that conversion is a right, then re-conversion too is a right. In this melee of conversions and re-conversions violence and strife will become the order of the day. Let every religion enjoy complete religious freedom to preach, practice and propagate. But as our apex court categorically stated, 'Propagate' does not and should not include 'Conversion'. Let us put an end to the institutionalised activity of conversions by church agents and instead allow citizens freedom of personal choice without fear or favour.